Book the best excursions, tours and activities in Costa Verde online on sunbonoo and enjoy unforgettable holidays. Get the most out of your holiday and steer clear of glitches by sorting out all the things you want to see and do on holiday in Costa Verde way ahead of time. Say goodbye to sold-out shows, get top-notch service and bag a bargain with sunbonoo. You are much less likely to shell out extra cash arranging tours and activities when you get to Costa Verde if you book them online beforehand. Have a look through over 100 things to do from the comfort of your own home. There is a world just waiting to be explored in Costa Verde. Come across the best tours and activities in Costa Verde for you, your friends and your family. If you’re at a loss as to what to get someone as a present, call off the search and give them a sunbonoo ticket. The place certainly lives up to its name, the “green coast” has a great deal of golden sand mixed with pretty pine forests, soft hilly areas; get up close and personal with everything green! The charming coastline is nicely tucked in between Galicia and Cantabria and stretches over 300km. Find out how you can get acquainted with the top spots here. Surfers and windsurfers can get their kicks as the wicked waves give you just what you need to fully go for it with these fun-filled sports! You can sit tight on a boat tour in Costa Verde and see things from the warmth of being dry or you can get right into the water to know the sea even better. The Costa Verde is great for all things water-related, be it learning how to surf, taking a dip or splashing about. Ride along in a boat and see the most spectacular rock formations and caves and acquaint yourselves with the prehistoric past which has certainly left its mark! 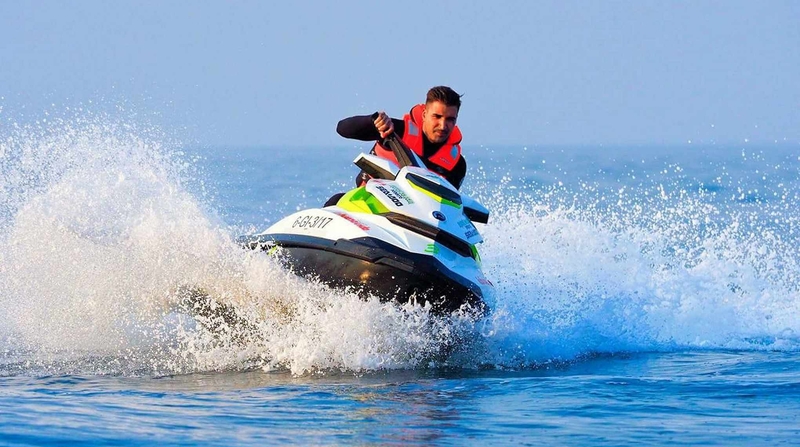 Take your pick from plenty of active stuff to do in Costa Verde like kayaking, canoeing, cycling and paintballing – to name a few. There’s no limit to the level of adrenaline you can get pumping around your veins. Hop on a Costa Verde Jeep Tour and rally right through Picos de Europa National Park and try your luck at a hike through the second biggest National Park in Spain! The Sella descent by canoe from Arriondas to Llovio is also one of our top-picks! Suss out what the fuss is about with canyoning and coast climbing in Costa Verde where you’ll get more than your fair share of thrills. This is nothing short of an intense experience where you shimmy, abseil, hike, climb, swim or run along the shoreline. The guides have got your back, so you don’t need to worry about a thing - other than getting from one side of the cliff to the other, naturally. Horsey people pay attention, ride through the full-of-life forests and canter over the soft hills to make the most of the region. It’s worth paying a visit to at least a few coastal towns in Costa Verde. Make sightseeing in Costa Verde even more fun by zooming around the place on a Segway Tour in a place like Gijón – this is a definite winner with the kids too. Join a bike tour and cycle around the streets or go on a bike ride with the little ones and spend a day at the seaside. The House of the Sea in Gijón is kid-friendly too. Make your way to the aquarium and come face-to-face with many a species. 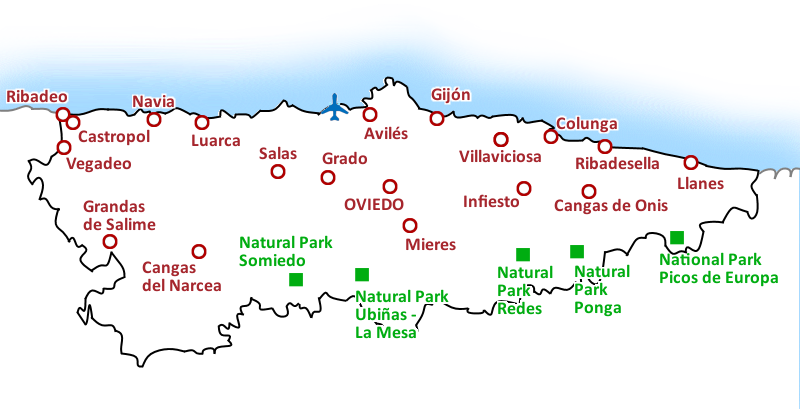 Trek along to Campa Torres - the archaeological and nature park and if you want to follow in the footsteps of a dinosaur, you should head to the beaches and bays between Gijón and Ribadesella. Some impressions of the prehistoric giants are immortalised there and with a bit of luck you might just find a fossil. The sunbonoo team wish you a happy stay in Costa Verde!